Woohoo! How exciting! I'm on my way to Martingale! These little projects are just gorgeous! I entered the giveaway too! Thanks for letting us know. 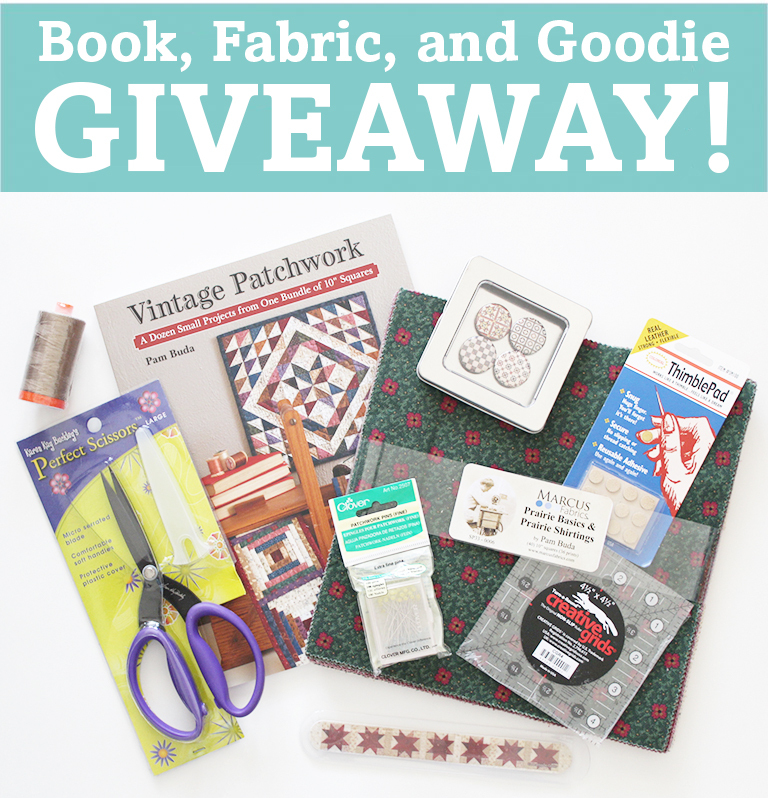 The Vintage Patchwork book looks so inviting! Great bunch of goodies for one lucky winner too! WOW.....looks like something I would definitely like to win. Thanks for a great giveaway. The book looks wonderful as do the goodies. How nice of you! What a wonderful collection of goodies! Thank you for the chance to win! Congratulations, Pam, on your first book. It looks terrific. Nice book and what GREAT giveaway. Thank you for the great giveaway. I am anxious to try some of the projects. Tiny piecing is my favorite. Small projects, at this time, my favorite to sew. 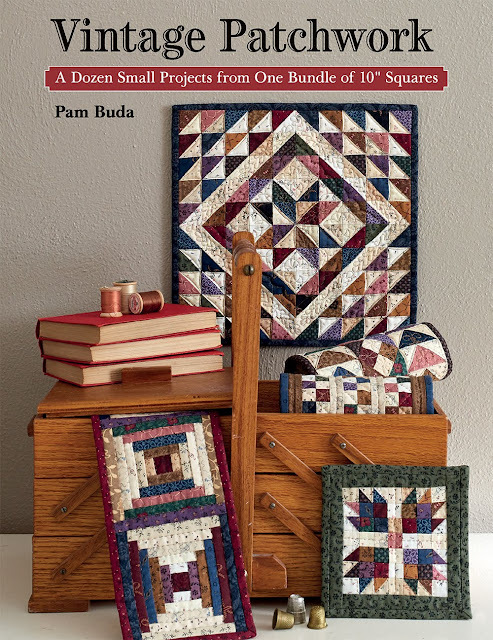 The book looks like it has wonderful small projects to do.